The Great Barrier Reef is a popular location for world travelers, and the Whitsundays region off the coast of Queensland is an excellent starting place from which to visit. The Whitsundays themselves are worthy of exploration, and boaters in particular will revel in the beauty of their scenic waterways. 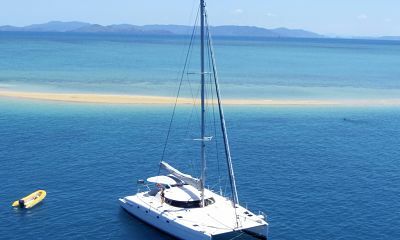 With its proximity to both the mainland and the iconic Great Barrier Reef, as well as its own many and varied charms, the Whitsundays island chain is a must for boaters with a thirst for island-hopping adventure. The islands were created millions of years ago when sea levels rose so high that they drowned a mountain range, and the peaks of that range are what pierce the crystal surface of the water today. As part of the Great Barrier Reef World Heritage Area (and the Cumberland Island Group), the land is mostly untouched, allowing for Australia’s raw, natural beauty to shine through. 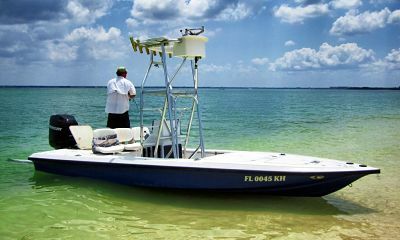 Boaters from all over the world come to explore this stunning region in their own boats or rentals. 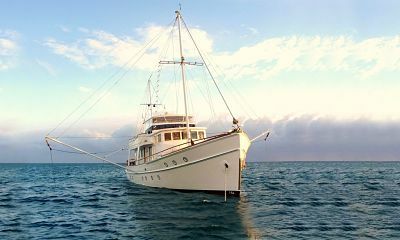 Boasting the largest bareboat fleet in the South Pacific, opportunities abound for renting a vessel for your adventure whether you are an avid sailor or if powerboats are more your speed. The Whitsundays are comprised of 74 lovely islands, and make for great sailing due to the combined protection of the Great Barrier Reef and the island bodies themselves. 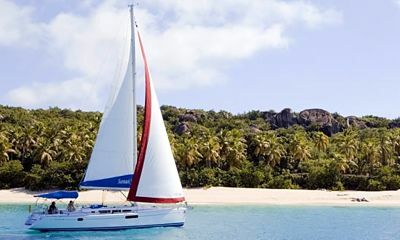 Another marina to visit could be the private marina on Hayman Island, which is available for resort guests. For those who prefer something a bit simpler, there are also a total of eight camping grounds on three of the islands where you can pitch a tent and immerse yourself in natural island beauty. One of the most important factors to consider when planning your boating adventure in the Whitsundays is the time of year you plan to go. For instance, if sailing is your passion and you love a brisk breeze to keep you on your toes, then you might schedule your trip for some time between March and April in order to take advantage of the lively trade winds that swoop in from southeast. If, however, you are looking for milder conditions, then consider planning on boating from October to the year’s end because the easterlies and north-easterlies that fan the islands will make for tamer conditions. One of the greatest benefits of the area for boaters is the natural protection from the elements that the Whitsundays’ position near the Great Barrier Reef and the mainland provide. However, it should be noted that the tide patterns can be a subject to high rises and falls (some of the highest in the world, in fact), so be sure to keep an eye on the tidal schedule and your instruments during your boating excursions. Much of the Whitsundays region is protected by natural parks, and it is important to keep this in mind when planning your boating trip and during your stay on the islands. Be certain to watch your speed while you are island-hopping as the turtles (who are native to the area) often like to come to the surface of the water to sunbathe. When on land, keep in mind the stipulations that that particular island may have about collecting shells or coral. If you decide to swim, know that sting rays are sometimes found around the islands, so be sure to wear protective clothing and to carry a first aid kit. The waters of the Whitsundays are legendary for their clarity and beauty, and a few precautionary measures can help ensure that you and yours enjoy the safest and best adventure possible. Including these four, there are seven islands in the area that offer accommodation of some kind, from the ritzy island resorts to the down-to-earth campgrounds. In addition to its lodging options, there are many incredible sites to visit and sights to see in the Whitsundays. The incomparable Great Barrier Reef is nearby, and carries the distinction of being the largest living thing on earth — a feature that can even be seen from space. With countless types of fish and sea creatures and over 600 types of coral, this unbelievable landmark is a diver’s or snorkeler’s ultimate destination. If you are staying in the Whitsundays, it makes an easy and enjoyable day-trip by boat to go and experience the legend for yourself. Besides this famous destination, the Ngaro Sea Trail is a lush and meandering self-guided tour that encompasses both scenic pathways and seaways, and is ideal for nature lovers who enjoy both hiking and kayaking. Beach bunnies will definitely want to check out the famed Whitehaven Beach of Whitsunday Island, which is arguably one of the most stunning beaches on the planet with its white silica sand and clear water. May through September is the perfect time to see a humpback whale since the island waters are a popular calving ground for these migratory creatures. In addition to boating, snorkeling, and kayaking, fishing is a very popular water activity around the islands. The numerous reefs in the area make for rich and diverse fishing territory, and the rockier edges of many of islands such as Haselwood Island, Hook Passage, Shute Harbour, and Nara Inlet provide fishermen with the opportunity to fish for specimens such as Giant Trevally. 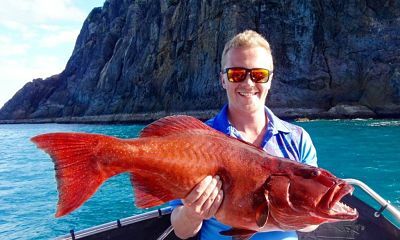 Whitsunday Island has been known to be the home of fish such as Cod, Sweetlip, Coral Trout, and Spangled Emperor. The Whitsundays are a magical place that offer boaters the chance to see and experience some of the most beautiful places in the world in a way that is unique and accessible. With so many islands and the closeness of the mainland, there is no shortage of things to do or experiences to enjoy. The Whitsundays are a string of islands with a timeless appeal that brings travelers back time and again as there is simply too much beauty to take in during one boat trip alone. The availability of nearby boat ramps and the existence of several fully-equipped marinas in the island chain ensures that boaters are never without a place where they can stay or to attend to any boat business they may have, and the range of activities that the islands can provide will help ensure that no passenger leaves disappointed. The Whitsundays should be at the top of any boater’s list of must-see places in both Australia and the world. What is a Float Plan?